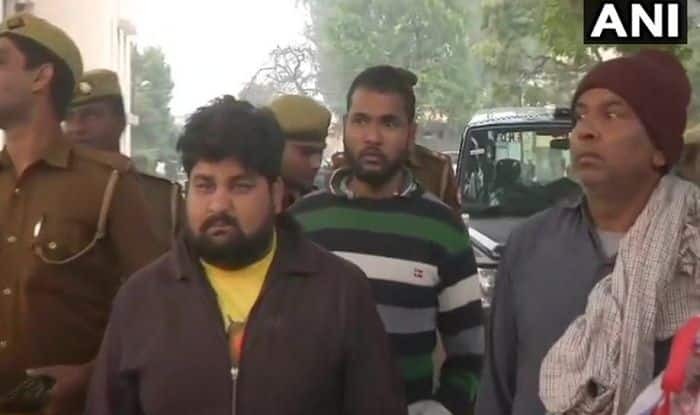 Bulandshahr: A district court on Tuesday remanded three persons into judicial custody for 14 days in connection with the killing of Inspector Subodh Kumar Singh and a 20-year-old man Sumit in yesterday’s Bulandshahr violence. However, the main accused Yogesh Raj, who is said to be a Bajrang Dal activist is still on run. It has been reported that Raj led the violent mob which allegedly attacked the police team and killed Inspector Singh. The commission, in the notices, has observed that it is “indicative of yet another incident of violent protest and rampaging by an unruly mob, exposing lawlessness and failure of the administration to tackle sensitive issues and situations”. Meanwhile, Uttar Pradesh Chief Minister Yogi Adityanath called for a meeting with officials at his residence at 8:30 PM tonight over the law and order situation in the state. On Monday, inspector Subodh Kumar Singh, who had probed Dadri’s Mohammad Akhlaq lynching case initially, and 20-year-old Sumit Kumar died of gunshot injuries as a rampaging mob protesting against alleged illegal cow slaughter, torched a police post and clashed with the police personnel. The government has formed a special investigation team (SIT) to probe the violence, the circumstances leading to it and to identify the people and groups involved. Meanwhile, Bahujan Samaj Party (BSP) chief Mayawati blamed the state government for the violence in Bulandshahr, saying the “lawlessness” in the state was a result of its “faulty and wrong policies”.